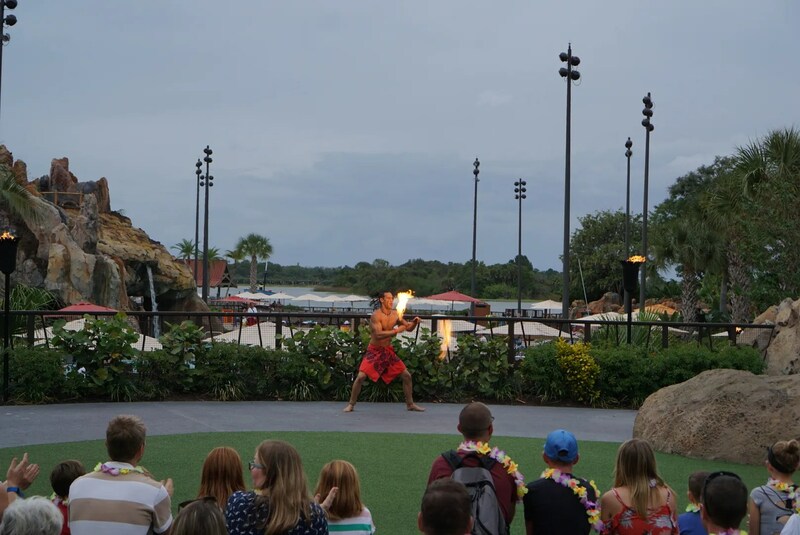 Many years ago when my family stayed at the Polynesian, we had happened upon the resort’s Torch Lighting Ceremony, a free but short show which at that time took place at the front entrance of the Great Ceremonial House. With some time to kill on my arrival day, I inquired at the front desk as to whether this show was still being held. 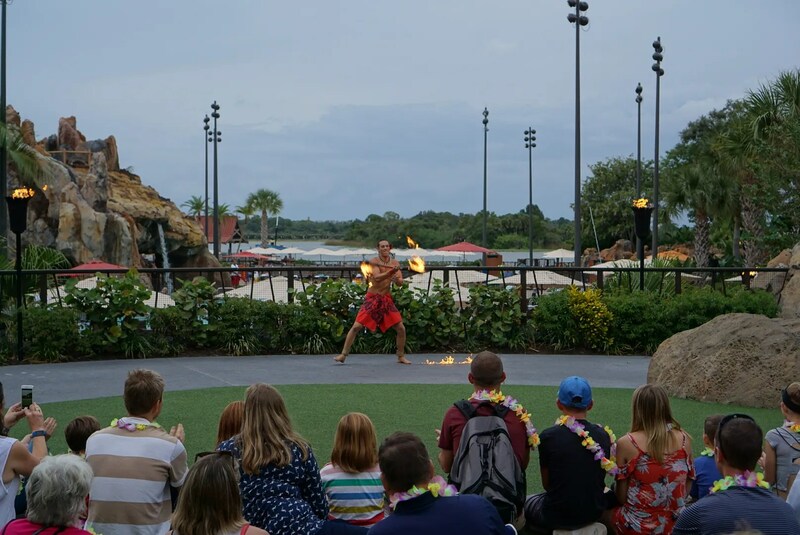 I was told that it takes place at 6:00, but only on the nights on which the Spirit of Aloha Luau Dinner Show at the Polynesian is held (Tuesdays – Saturdays). 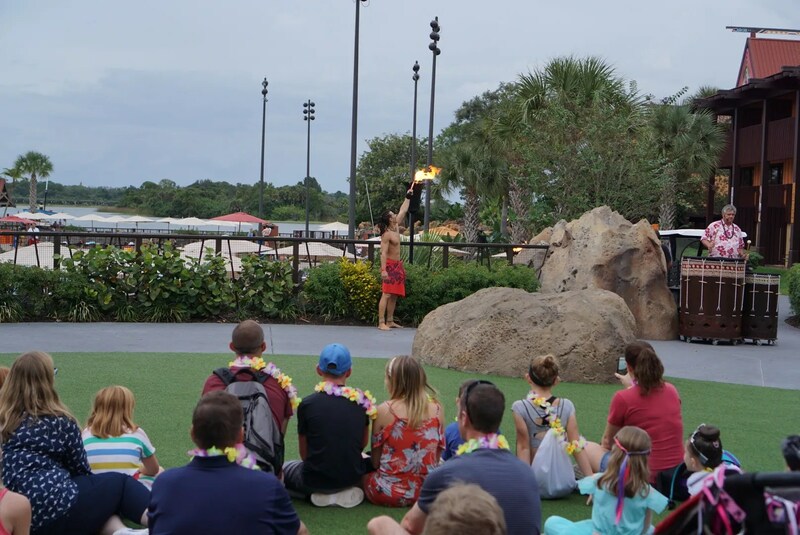 However, instead of by the front entrance, the show now takes place on the lawn between the back entrance of the Great Ceremonial House and the resort’s main swimming pool. 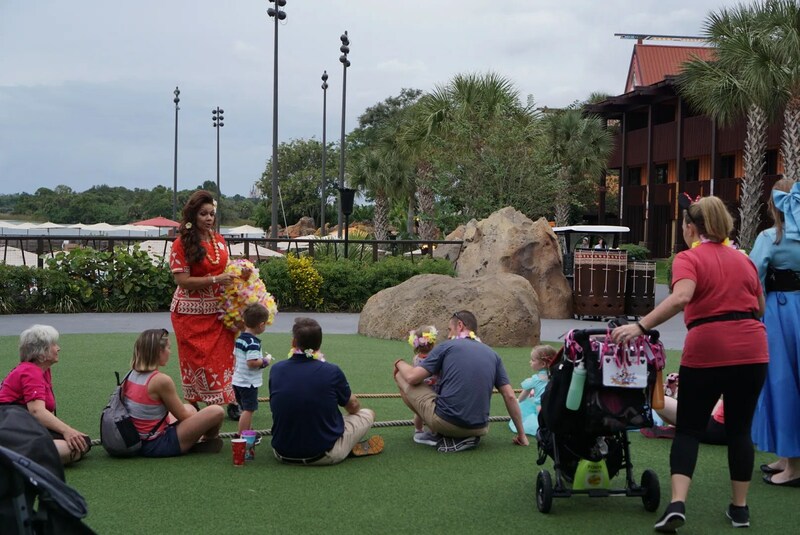 These were the same leis that were being given out to guests at the front desk so I declined. Note that in the above photos there was a small space between the two ropes that was left empty. 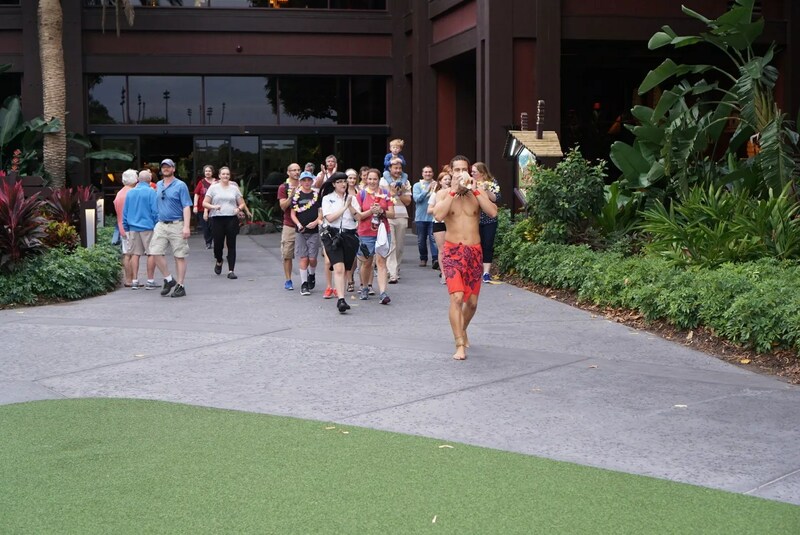 This group of guests was led to the “reserved” area between the two ropes which I had mentioned earlier. 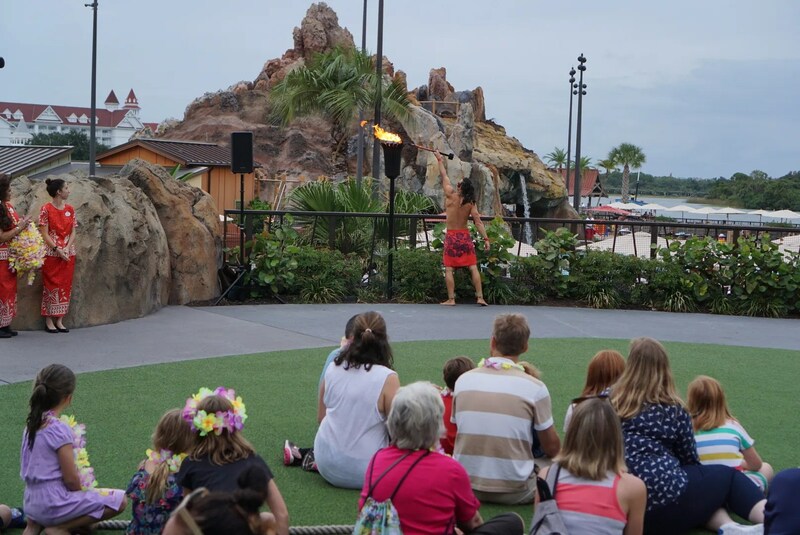 I was curious as to who these “special” people were so did some research later and found out that a “Torch Lighting Family” is randomly chosen from the Polynesian’s lobby not long before the start of the show. (On this evening there appeared to be at least two families chosen.) 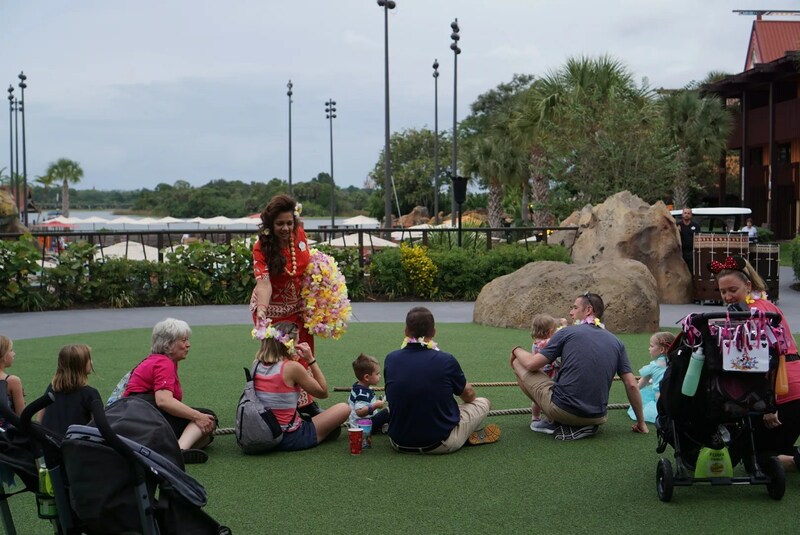 From what I’ve read, you don’t have to be a guest staying at the Polynesian, you just have to be in the right place at the right time. 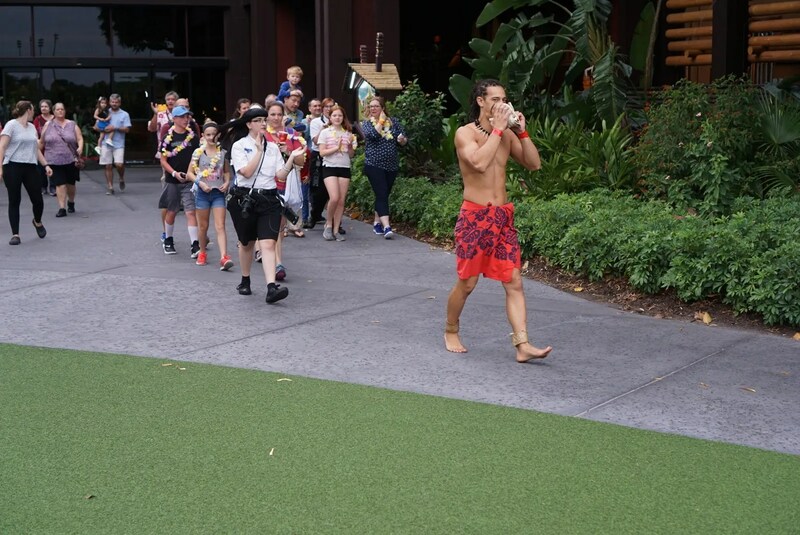 From the time the Chief exited the Great Ceremonial House to the end of his performance, it was about 5 minutes (according to the time on my photos). So a bit underwhelming but I guess I shouldn’t have expected a lot from a free show. 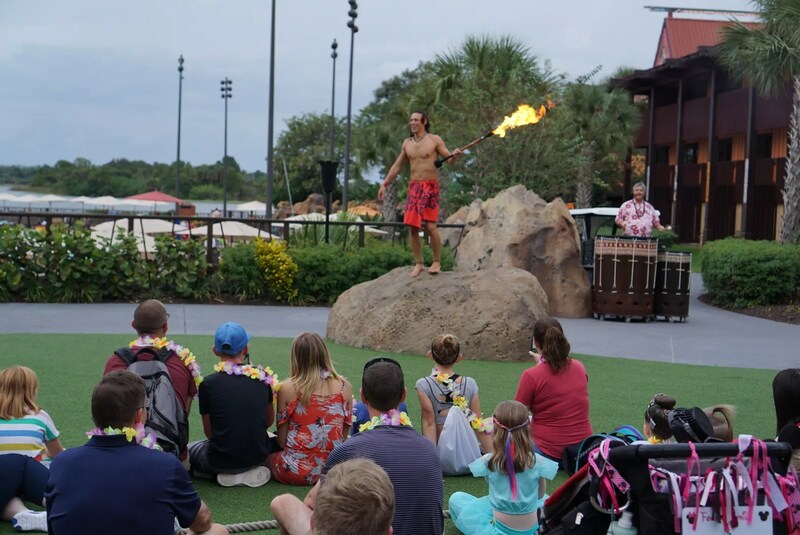 I suppose this was just a small taste of what you might see at the Spirit of Aloha show. 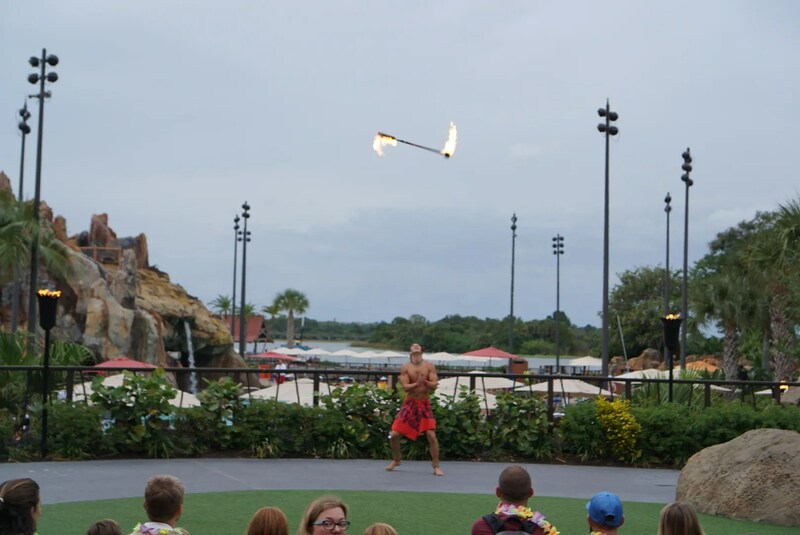 I haven’t been to that dinner show in more than 17 years so perhaps I need to do it again sometime in the next few years.